Learn to play Muse, Deep Purple, The Lumineers and more! 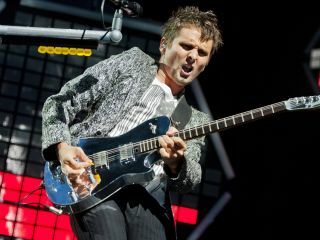 Learn to play Muse 'Hysteria' and more! TG238 is on sale now, with the world's best guitar tab and lessons - complete with studio-quality backing tracks on your TGCD. Here are five guitar tabs you can learn to play in Total Guitar 238.